Rubbish and recycling collection days will be one day later over the Easter Bank Holiday. Please see the below for your revised collection day. All collections will return to normal Monday 29th April. The delivery of all the 2019/2020 recycling calendars have now been completed. You can find out which day of the week your recycling boxes, food waste caddy and black sack waste is collected by looking at your collection calendar. To view your calendar click on the initial letter of your road in the table below and find your road in the list that follows. Once you have found your road you will be able to click a link to your home’s collection calendar. Please note that you should present your refuse and recycling for collection on the boundary of your property before 7am. Missed collection - What can I do if my recycling or refuse hasn’t been collected? Please note this is the responsibility of Veolia so before reporting a missed collection to the Council, please check the table above to make sure you have presented your waste/recycling on the correct day. Then please check all the correct items are in the correct boxes and have been placed on your boundary correctly. If you have a yellow sticker on your recycling box then this means an incorrect item has been placed in the box, please refer to this and remove item. 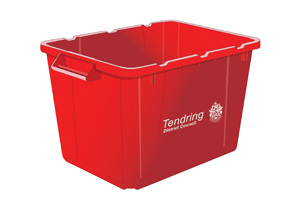 Unfortunately Veolia are not able to re-collect if an incorrect item was placed in the box, this will now be collected on your next pick up date for that particular box. If your rubbish or recycling is missed, you should report it instantly to us via our online Report It form or call us on 01255 686788 on the day collection was due. We will then arrange for it to be picked up by our contractors by the end of the following working day. Following successful trials of the bags in Clacton Town Centre seagull proof bags are now available to all residents across Tendring. The bags which are reusable; are made of polypropylene material and can hold two to three black bags inside. They have a rubber weighted base to stop the bags from blowing away once emptied and have a Velcro lid to stop birds and animals from gaining access, along with handles to help carry the bag. To find out how to use and where to buy these please check our Gull Proof Bags, Food Waste Caddy Liners & Refuse Sacks page. We have alternative collection methods for flats and multiple occupancy houses. Residents of these properties will be notified of their individual arrangements. If you would like more information on this please refer to our Recycling for Flats page. 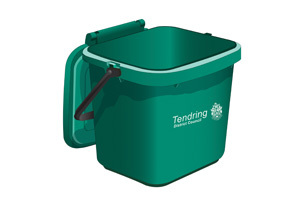 If all the residents of the property are elderly or disabled and have difficulty presenting the bin to the boundary of the property, assisted collections are available. If you require this assistance please complete our online Assisted Collection form. If you don’t have the correct recycling containers you can pick some up from one of the many recycling collection points across the district. You can find the contact details and locations of these sites on our handy recycling box collection point list. 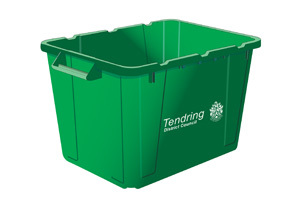 You can find all the information you need on how to fill and prepare your recycling boxes and food waste caddy for collection on our dedicated receptacle pages.